The perfect blend of sophistication and quality. 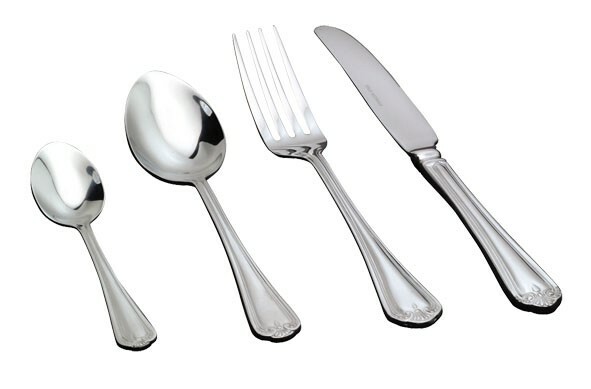 The Elegance 18/10 collection features soft curved handles for an elegant, timeless feel. 18/10 stainless steel, 4mm gauge. Make a bold statement with Flair for a contemporary addition to the tabletop. 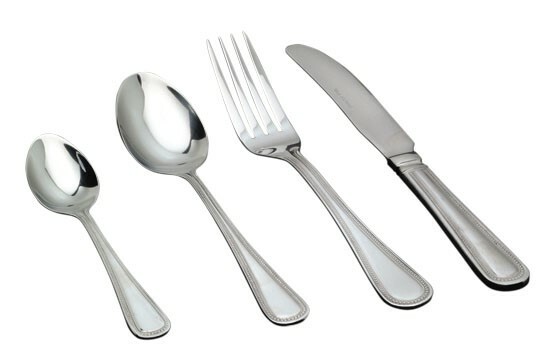 This high quality 18/10 collection perfectly suits all dining occasions. 18/10 stainless steel, 4mm gauge. 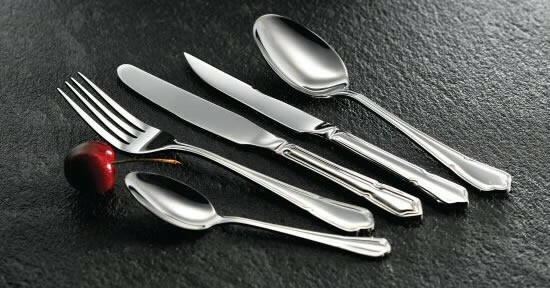 Elegant styling and proportions combine to produce a beautifully balanced range of cutlery in quality 18/10 Stainless Steel. Slim and elegant witha well balanced feel, 2.5mm guage, 14/4 stainless steel. Stylish and contemporary, ideal for everyday use. 2.5mm guage, 14/4 stainless steel. A modern, beautifully balanced collection, 3mm guage, 14/4 stainless steel. 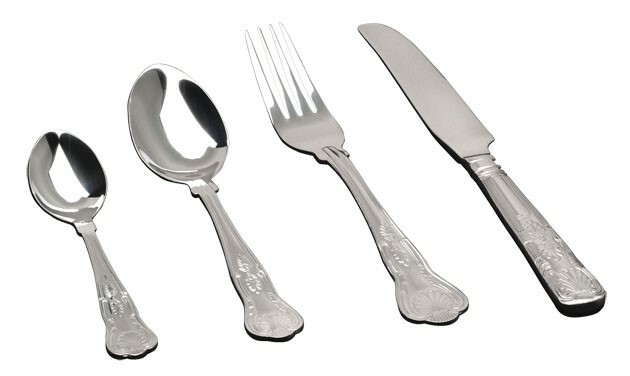 A shapely, heavy gauge, contemporary cutlery collection. 6mm gauge 18/0 Stainless Steel. An elegant, modern design, 2.5mm guage, 18/0 stainless steel. A well balanced, elegant collection, 3mm guage, 18/0 stainless steel. Introducing Milan, a new contemporary, sleek and versatile design. 18/0 Stainless Steel. Bead remains one of the most popular patterns in the UK and complements most china patterns. 2.5mm gauge, 18/0 Stainless Steel. The Dubarry pattern clearly shows the influence of the furniture designer Thomas Chippendale. The decorative shape is reminiscent of many of his chair-back designs. 2.5mm gauge, 18/0 Stainless Steel. The Kings pattern was named after the Prince Regent (later George IV), whose influence on fashion and interior design can be seen in this famous collection. 2.5mm gauge, 18/0 Stainless Steel. 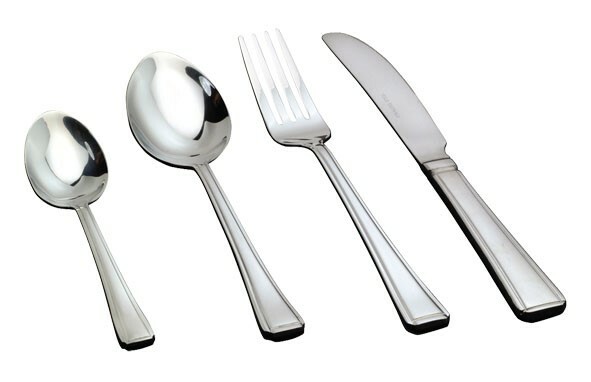 Designed to meet the requirements of high volume outlets our economy cutlery offers outstanding value. 1.8mm gauge, 13/0 Stainless Steel.
? High performance, versatile cutlery created for multiple foods. including Polywood, Natural Wood & Polypropylene.
? Ergonomically designed handles with a refined finish for comfort of handling.
? High quality, heat treated hardened Stainless Steel (AISI 420) Blades.
? Full Tang Blades on premium Knives add greater balance.
? Dishwasher safe (excluding Natural Wood Range).
? 5 Year Warranty (applies to the Polywood Range). A passion for quality & design; the Tramontina professional series combines a unique blend of high quality materials and expert craftsmanship to deliver refined, high performance products for busy hospitality environments. We are delighted to partner with Tramontina to offer this comprehensive portfolio which includes the specialised Steak and Pizza Series; trusted by the very best Steakhouses and Restaurants. Finest Polywood Handles complement presentation and offer a quality feel and long-lasting finish. 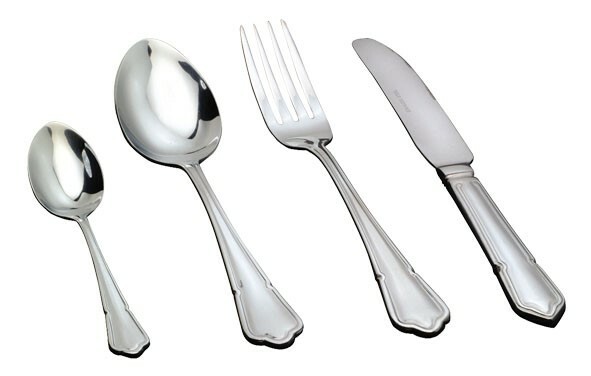 Elegantly styled with slim handles; this versatile collection adds the finishing touch to the table. Perfect for every day informal dining, the natural wood handles add a rustic touch. Thermally treated for a long-lasting cutting edge with an engineered blade shape for durability and longevity. Combining comfort and practicality with a lightweight feel; this versatile range suits every day use.